You don’t need to spend hundreds of dollars to have a home product studio. I got mine for only US$40 (or about Php1,600). I got my light tent for only US$20 at a local computer store selling cheap electronics and consumer devices made in China. 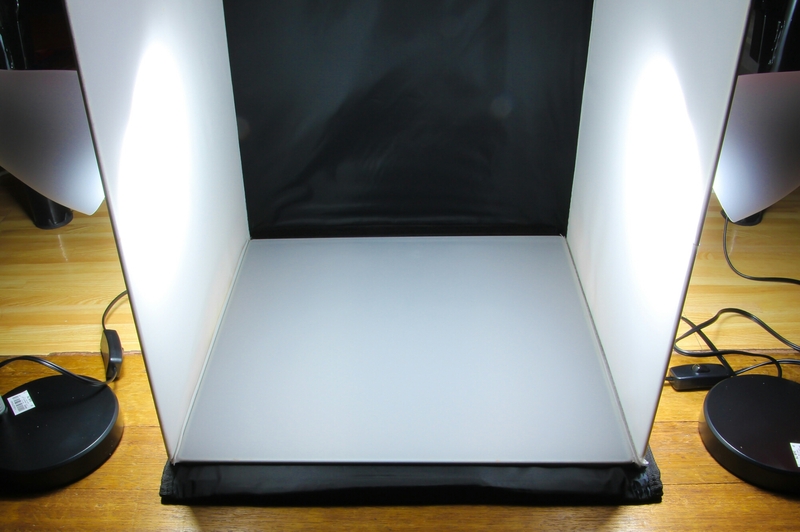 The light tent is portable and can be folded smaller than the size of an attache case. It has white, black, red, and blue backgrounds. For my lights, I got two table lamps for only US$10 a piece from a mall hardware store with an 8-watt bulb. … So who says doing photography at home is not fun? Eternal Dreams to Each One of Us…! This is fantastic….where’s the pics?